Casio is introducing the new Pro Trek PRW-50 series in June 2019. 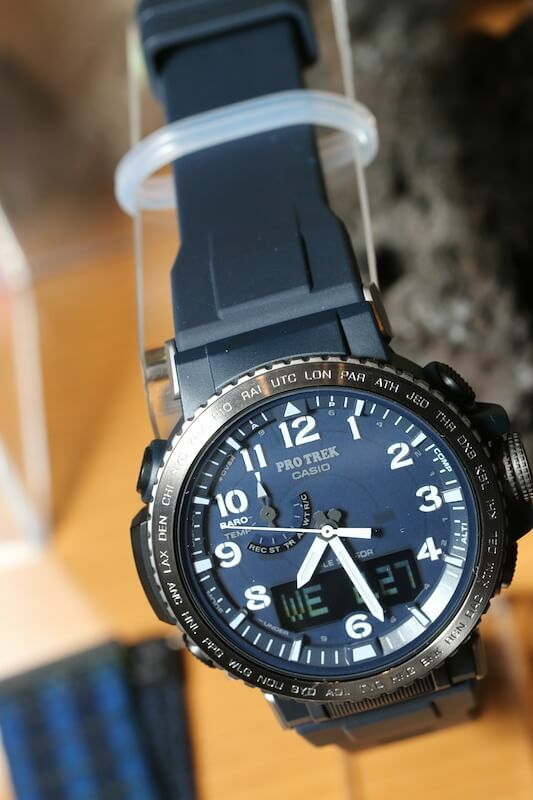 The PRW-50 is very much like the PRW-60 that was released in Japan and Europe, offering the same functions (Tough Solar, Multi-Band 6, Triple Sensor) as the large PRW-6100 in a smaller watch designed for climbing. Differences from the PRW-60 include a numbered index, slimmer hands, and a textured bezel edge. The overall design appears to be a more conventional, mainstream style. Like the PRW-60, the bands are easily removable without tools using the slide levers. 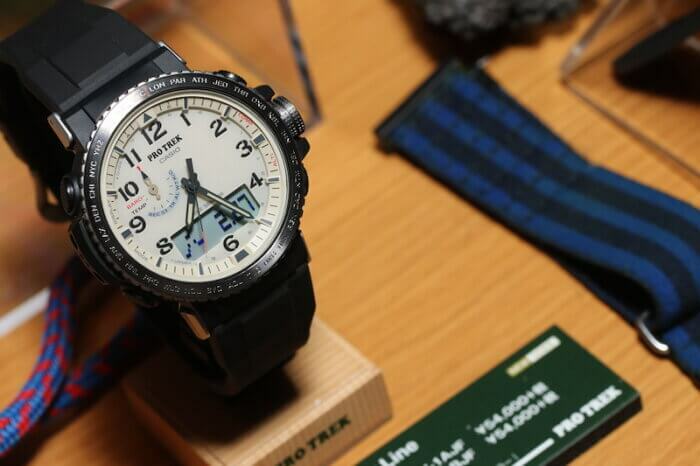 In Japan, the debut Pro Trek PRW-50 models will have a price range of 54,000-64,000 JPY. Casio always frustrates me with the numbered indexes on their Pro Trek line. There are always some numbers getting cut due to the LCD or sensor/mode dial placement. 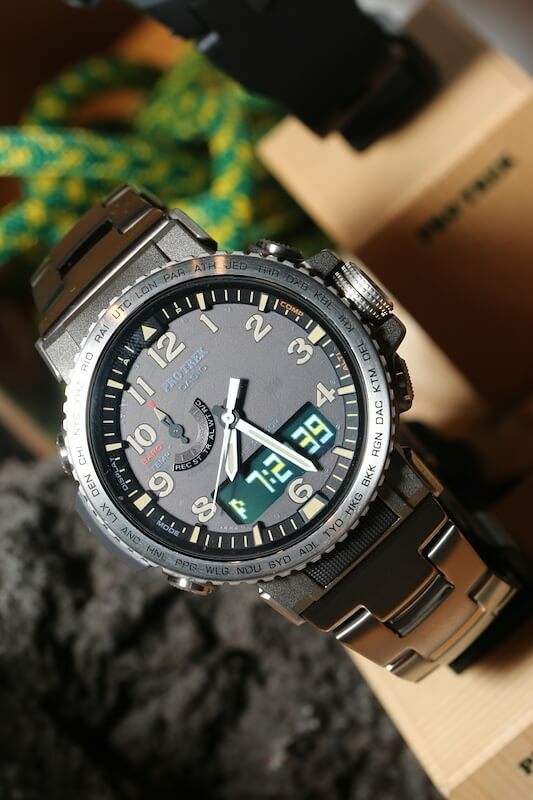 The only model with numbered indexes that, to my eyes, does it right as a “field watch” is the PRW-6600 (I really like the variant with the orange accents and green nylon strap), but even that has the 10 blocked out. Do you believe the release of the prw-50 in the Japan market might signal a potential release of the prw-60 in the U.S market? Both are very nice but the 60 is my preference. It’s hard to say. Pro Trek releases in the U.S. are rather unpredictable. I think it is more likely that the U.S. would get a newer model than an older one.